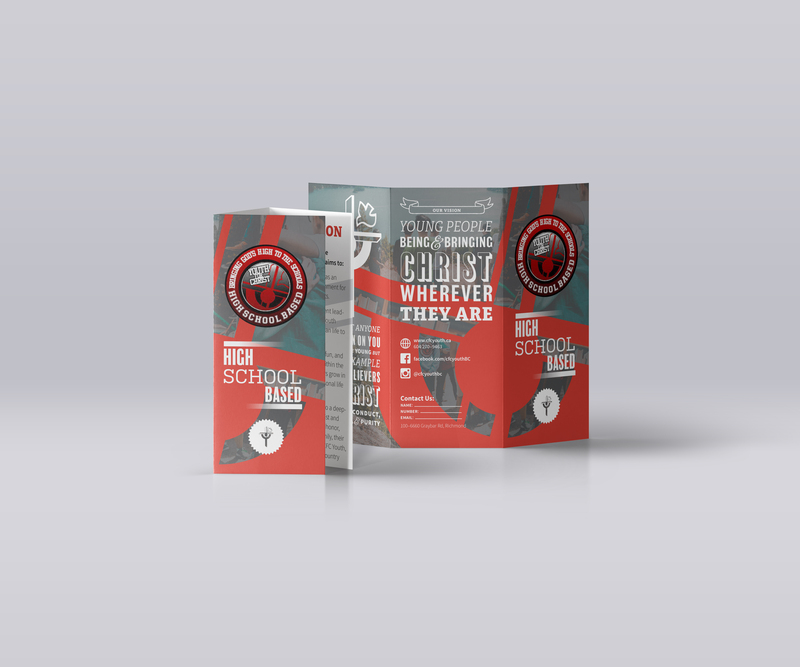 A youth group for secondary schools in BC reached out to me to design a brochure for them to hand out to school administration to communicate what the group can provide schools. With pre-made logos and other assets, I set out to create a palette and aesthetic that matches their young, vibrant, and energetic look. Using their assets as inspiration, I created the backdrop after their logo. Altogether, I delivered print-ready files.